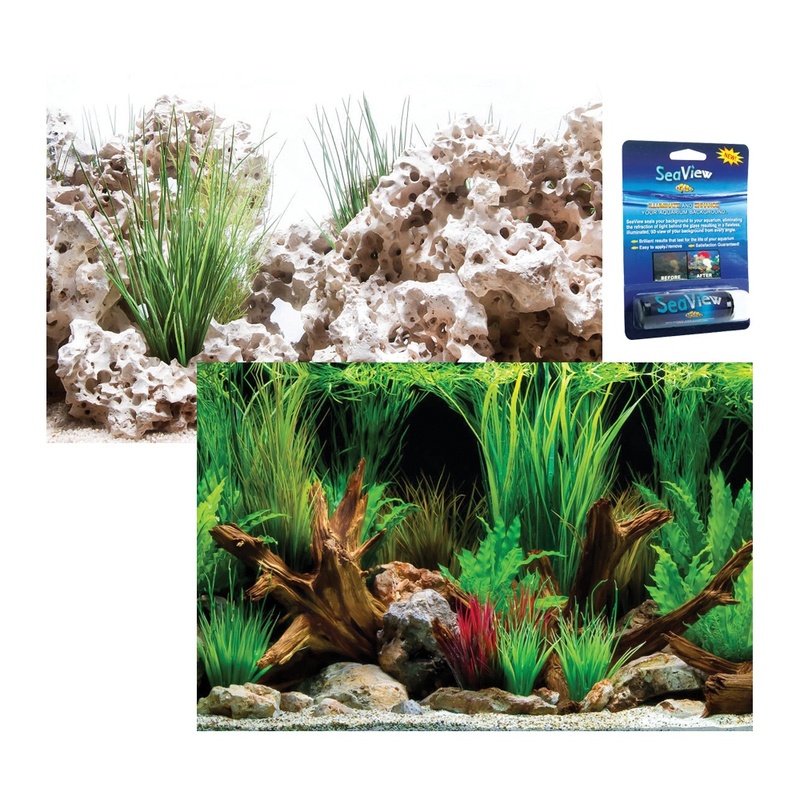 The Watery blue side gives the effect of your aquarium being huge. 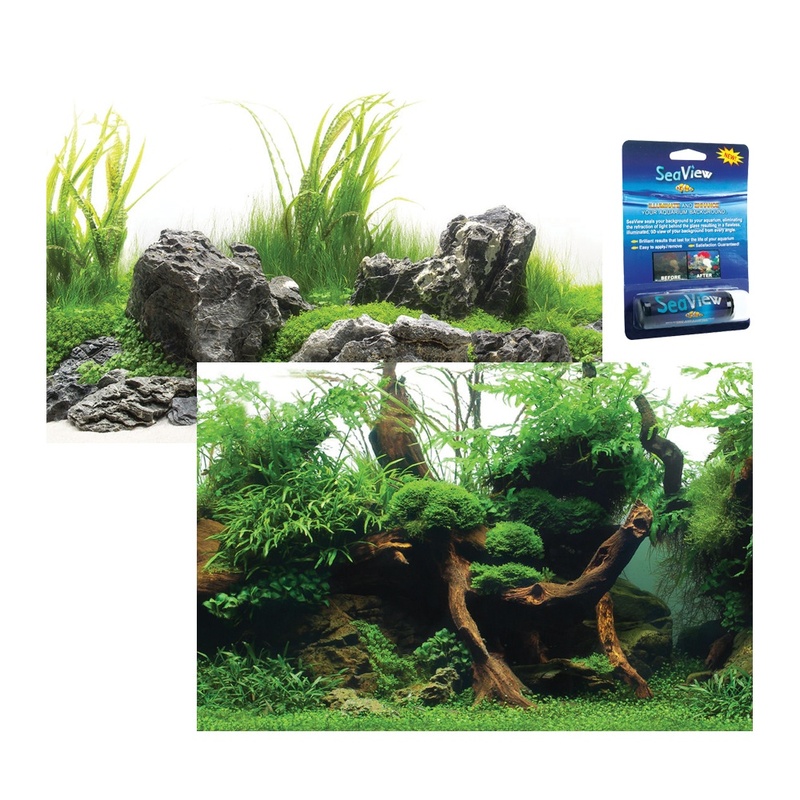 The gnarly wood pieces add a hidden depth to the aquarium which is stunning . 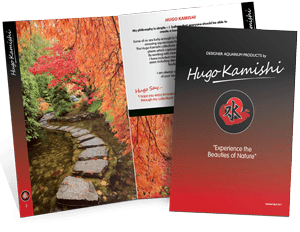 Real pieces of wood can be placed in front of the backing to enhance it further or you can create a staggering effect by using some of the Hugo rocks available to you . 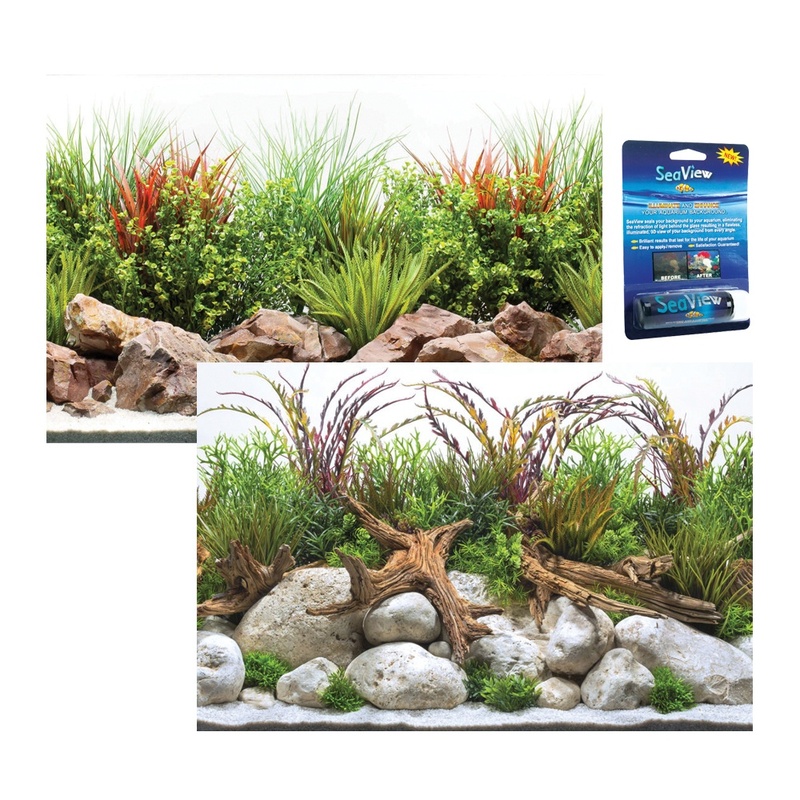 For anyone wishing to have longer pieces these are available on a roll , we don’t offer these online but all good aquatic stores stocking our collections can order a roll in from us on their delivery. The Seascape/mystic Aquarium background comes complete with a tube of seaview backing gel . 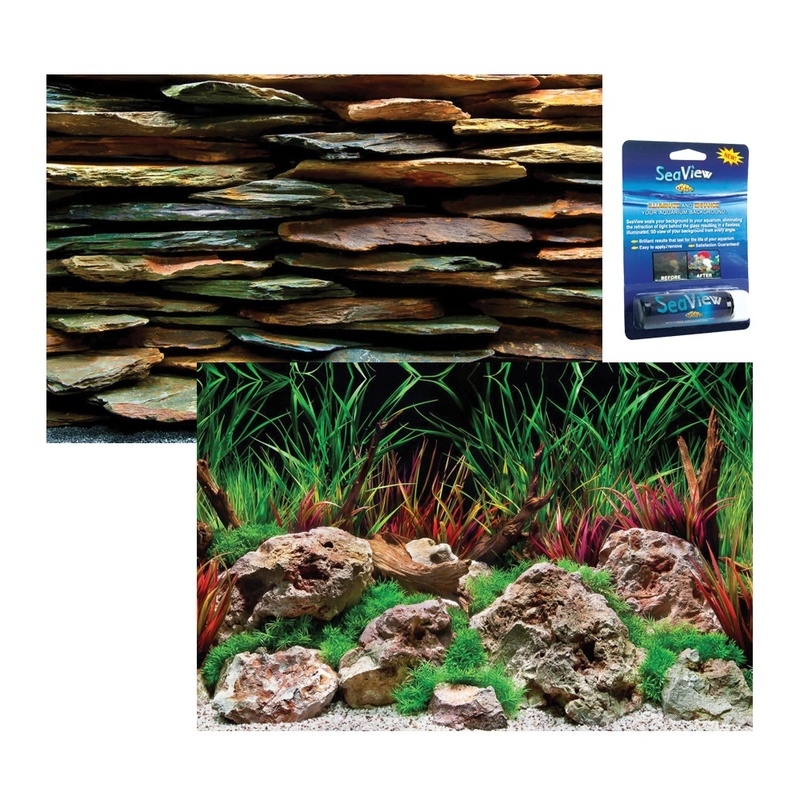 Seaview backing gel helps to maintain a flawless and vivid view of your aquarium background. 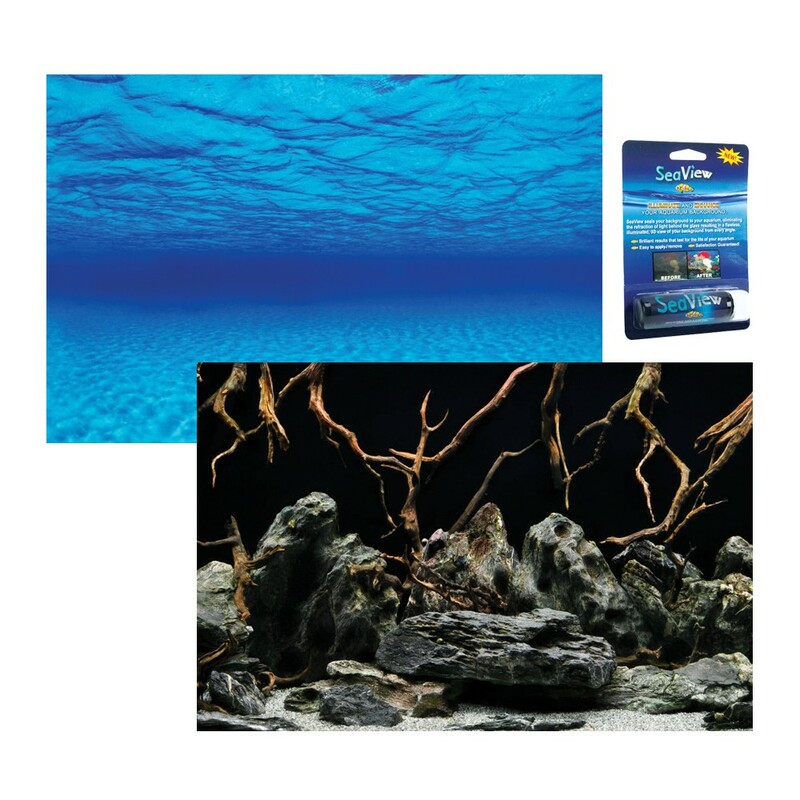 Seaview Gel creates a proper seal to eliminate bubbles, ripples and light refraction that makes mylar aquarium backgrounds appear faded or fouled. Easy to reply and removable for convenient background changes.